GASTROENTEROLOGY HEALTHCARE PROFESSIONALS PRAISE PRODUCT MOA VIDEO EXPLORING MEDICAL FOODS TREATMENT IN TIGHT JUNCTIONS AND THE INTESTINAL GUT BARRIER - Entera Health, Inc.
Entera Health releases its new MOA animation video for prescription medical food product EnteraGam® (serum-derived bovine immunoglobulin/protein isolate, SBI) used in managing IBS-D and IBD. 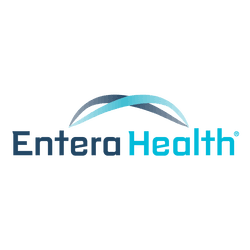 Entera Health Inc. debuted it's new "Tight Junctions and the Intestinal Gut Barrier" MOA animation video to widespread audience appreciation and accolades at the 2015 American College of Gastroenterology (ACG) National Conference a few months ago. The company continues to receive positive feedback from the many healthcare practitioners lauding the ways they have found the video very helpful. This informative and exciting animation video dives deep into the cellular mode of barrier function; however, the main take-away is the core binding feature of the EnteraGam® MOA. It is because of this binding feature that a body suffering with IBS-D or IBD has a chance to restore itself to proper gut functionality. The animation illustrates how EnteraGam® uniquely binds to harmful microbial components in the gut, helping to break the destructive cycle of enteropathy for patients suffering with specific intestinal disorders. By binding the microbial components with immunoglobulins that stay in the gut, EnteraGam® provides for a distinct nutritional requirement that helps manage gut barrier function and allows the body to engage in its own natural healing process, restoring gut homeostasis. The Tight Junction MOA video can be viewed on EnteraGam.com. EnteraGam® is a prescription medical food product intended to provide for distinctive nutritional requirements that are unique for the clinical dietary management of specific intestinal disorders [e.g., in irritable bowel syndrome with diarrhea (IBS-D), inflammatory bowel disease (IBD), and HIV-associated enteropathy]. EnteraGam® is required to be used under physician supervision as part of ongoing medical care for a specific condition or disease. EnteraGam® is also indicated for the clinical dietary management of enteropathy in patients who, because of therapeutic or chronic medical needs, have limited or impaired capacity to ingest, digest, absorb, or metabolize ordinary foodstuffs or certain nutrients. For full prescribing information, please visit the product website at http://enteragam.com/. EnteraGam® is a specially formulated protein source for the management of intestinal disorders. The product has been extremely well tolerated for up to a year in HIV patients and up to 8 months in infants. The major side effects in clinical trials (2-5%) have included mild nausea, constipation, stomach cramps, headache, and increased urination. EnteraGam® is contraindicated for patients with a hypersensitivity (allergy) to beef, or any components in EnteraGam®. Therefore, patients who have an allergy to beef or any component of EnteraGam® should not take this product. EnteraGam® has not been studied in pregnant or nursing women. The choice to administer EnteraGam® for patients who are pregnant or nursing is at the clinical discretion of the prescribing physician. Medical foods like EnteraGam® are required by FDA regulations to be dosed and monitored by physicians as part of ongoing care for patients with chronic conditions or diseases. Entera Health, Inc. is focused on improving worldwide health through the development of clinically safe biotherapeutics to address unmet needs. The staff's passion is to help people thrive through healthier living. The staff's motivation for conducting basic research, clinical studies, and appropriately educating patients and healthcare providers is driven to meet this goal. Learn more at http://www.enterahealth.com/. Ulluwishewa D et al. Regulation of Tight Junction Permeability by Intestinal Bacteria and Dietary Components. J Nutr. 2011; 141: 769–776.